This year’s biggest drag race countdown begins as preparations are underway to not only feature the competition but other interesting shows have also been organised for the expected 700 plus audience. Inclusive on this day will be a car show together with a bike show for the fans, for those who have a hobby for such a collection. The event will be held at Nanunuku in Pacific Harbour in Navua on December 18. 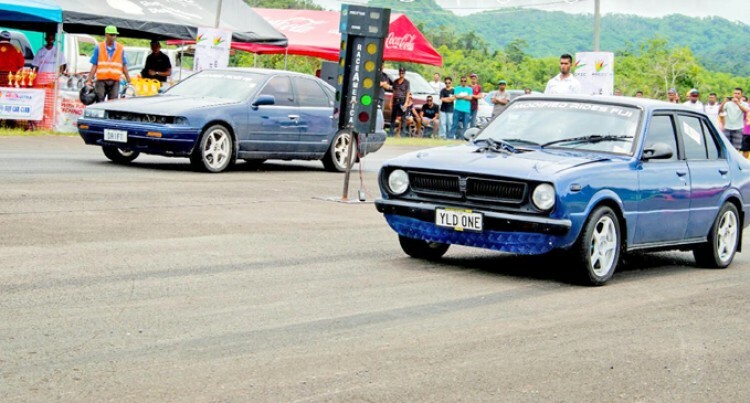 The Fiji Car Club president Raizal Haniff said they are preparing for this spectacular event and will make sure it turns out to be the best. “I urge all the race drivers, the regular and also the new ones to come out as this is the final race for the year,” he said. Mr Haniff praising champion driver of Fiji, Ravin Nath said he has got some new parts for his winning car and will be aiming to beat his personal best. “Mr Nath is all ready to come and beat his personal best time of 9.75s,” he said. More than 45 cars are expected to compete in this drag race for the top position. Mr Haniff is also encouraging female drivers to enter the arena as this sports is not only for males, females can put up a tough competition too. “We are requesting for more ladies to come out, to come and race,” he highlighted. He has thanked and given deep appreciation for Pacific Energy for sponsoring this year’s event. “They have given us $25000 cash to prepare for the event especially Rajnesh from Tappoos,” he said. “They have been very supportive of the car club and also to the spectators. “We have been averaging 700 spectators this year. Another good news for the spectators is they can watch for free. “So you don’t have to pay any money to come and watch,” Mr Haniff added. “Like I always say, try to make the drag race in Fiji a family oriented one.